Margt smátt was established in 1988 in Reykjavik, the capital of Iceland. They are the market leader in promotional products in Iceland and are also specialized in workwear. Their client list includes internationally known names like Coca-Cola and Disney, but also national organisations like ICE-SAR rescue team and the Icelandic Cancer Society. 95% of Iceland’s largest companies are ordering their promotional items from Margt smátt. This year (2016) is a particularly good year for the company as it will be their best year ever in terms of turnover and profit. Margt smátt’s team of 27 employees are a close-knit group of professionals with different specialities and many years of experience in the promo industry. Their common goal is to provide their customers with high quality products and excellent service. Their motto is ‘think in solutions’. The company’s mission is to remain the market leader in Iceland. To date they have always managed to achieve their goals, a result of their strong work ethic and continues professional development. What makes Margt smátt stand out from their competition is their Reykjavik office providing all services under one roof: marketing & sales, warehouse, showroom, design and a printing facility, of which they are particularly proud of. A group of ten employees are available to personalise any type of product, from ballpoints to suitcases using different types of printing/embroidery techniques. They recently invested in a M&R silk screen printing machine to enhance their branding services. Their promotional best sellers include Pink Ribbon pushpins for breast cancer awareness, rescue character keychains for ICE-SAR rescue teams, textiles and products for the travel and hospitality industry. Margt smátt also highly values Corporate Social Responsibility. They are proud sponsors of the Icelandic Cancer Society and support different athletic youth clubs in Iceland. Volcanic eruptions, earthquakes, extreme weather and snow avalanches are natural disasters that could happen in Iceland at any moment. Unlike most countries, there is no army in Iceland, and the Icelandic Coast Guard is small, with only a few ships and aircrafts. This is why they established ICE-SAR (Icelandic Association for Search and Rescue) rescue teams, a national association of rescue units and accident prevention divisions. ICE-SAR has about 100 rescue units, located throughout Iceland with thousands of volunteers standby for emergencies. The organisation is funded by sponsors and fundraising. In January 2015 ICE-SAR approached Margt smátt regarding new ideas for fundraising. 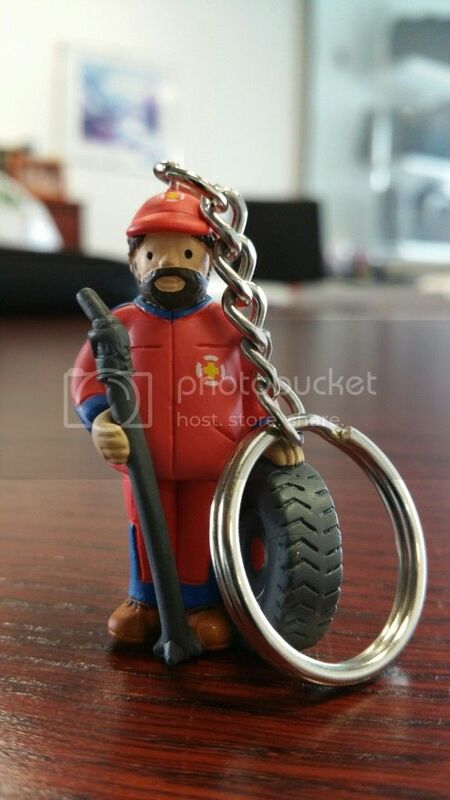 The company came up with the idea of a key chain in the shape of a rescue character. The characters were sold by volunteers at supermarkets, gas stations and wine stores all over the island. It was a huge success as they completely sold out of keychains. ICE-SAR raised approx. 1 million USD with this campaign.